There are occasions in which you may want to burn ISO to DVD disc on Windows 10/8/7 computer. For example, you may need to burn Windows 10 ISO file to a DVD disc. However, you may not know how to do this and have no idea of what to use. In this guide, you will learn detailed guidance. 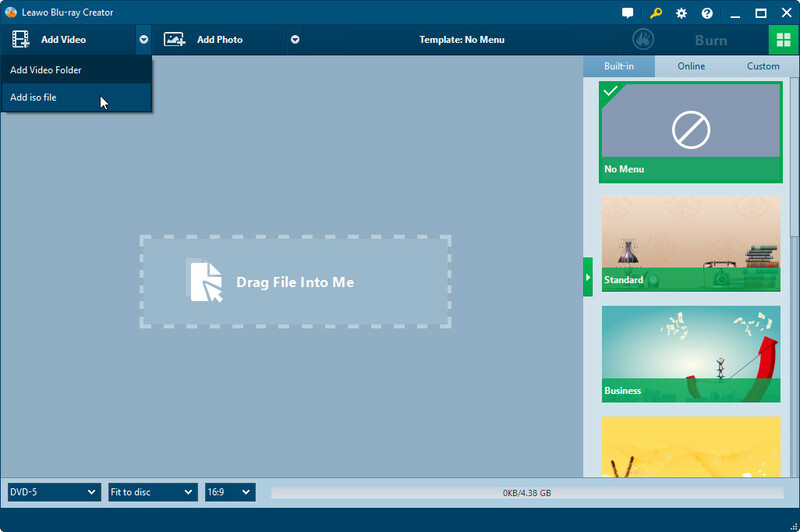 ISO images can be created from optical discs by disc imaging software, or from a collection of files by optical disc authoring software, or from a different disc image file by means of conversion. Software distributed on bootable discs is often available for download in ISO image format. And like any other ISO image, it may be written to an optical disc such as CD or DVD. Most people know that since Windows 7 beta 1, Microsoft has included a default feature of burning ISO files to DVD disc. If you have some ISO files on your PC and want to burn ISO to DVD disc on Windows 10/8/7, you have no need to rely on any third-party software. Below is showing you how to burn ISO to DVD disc on Windows 10/8/7 with the Windows built-in Burn feature. Insert a blank and writable DVD disc into the recordable DVD drive of your Windows computer. 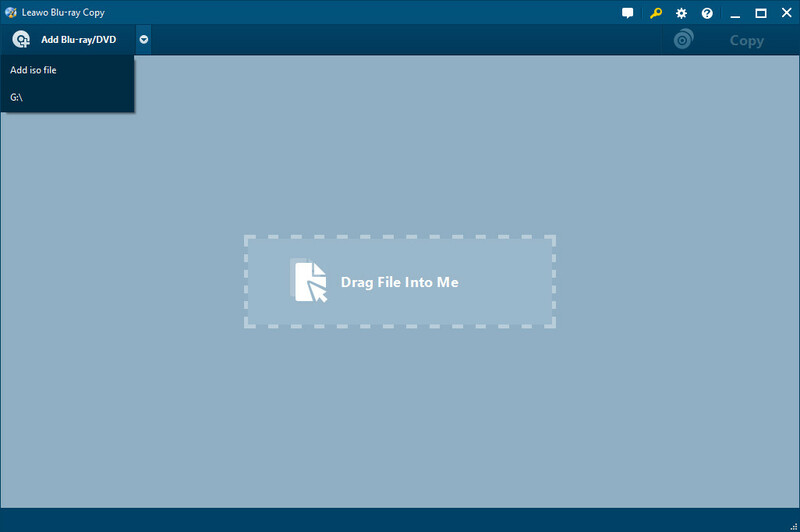 Open the folder where you have saved the ISO files. Then right click on the ISO image you want to burn. From the pop-up menu, you can select "Burn Disc Image" option. If you have multiple optical disc drives on your system, just select the right one under "Disc burner" and then hit Burn. It will begin the ISO to DVD burning process. The DVD burning time varies depending on the size of your ISO and the burning speed of your drive. Windows Disc Image Burner is not available on Windows XP and Vista, which means you may need to find another solution to burn an ISO to DVD disc on Windows XP/Vista. 3rd-party DVD ISO copier would be a wonderful choice for you. 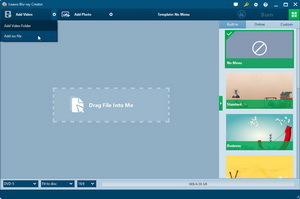 Leawo DVD Copy is such kind of ISO to DVD copier software program to help you carry out this. This ISO to DVD burner offers one-click operation to copy ISO image file to DVD disc directly, regardless the ISO image file protection, size and length. Download and install Leawo DVD Copy. Insert blank and writable DVD disc into DVD recorder drive. Get source ISO image file ready. 1. 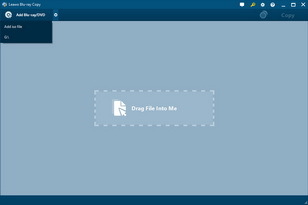 Add source ISO file by clicking the drop-down arrow and selecting "Add iso file" option. 2. On "Add iso file" panel, choose target DVD recorder drive in "Copy to" option and set "Disc Label". 3. 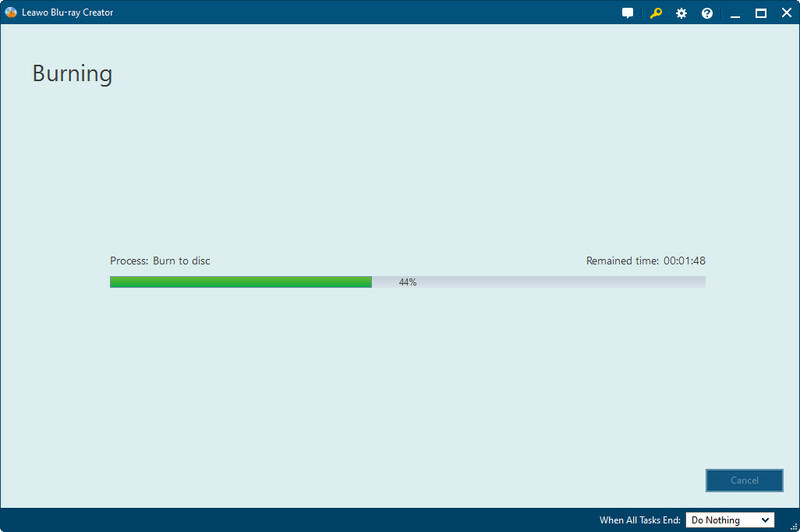 Click the "Burn" button to start burning and copying ISO image file to DVD disc. Note: A more detailed guide on how to copy ISO to DVD on Mac and PC is available. Another ISO to DVD burner you could use to burn ISO file to DVD disc on Windows 10/8/7 is Leawo DVD Creator. 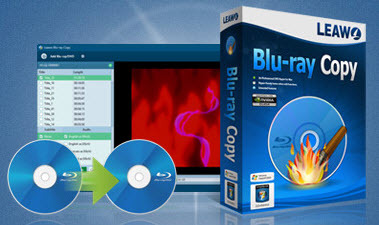 Quite similar to Leawo DVD Copy, Leawo DVD Creator also offers one-click operation to help you burn an ISO file to DVD disc on Windows 10/8/7 for playback or bootable using. Leawo DVD Creator is one of the best ISO burner to help you directly burn ISO image files to DVD on Windows 10 and previous in one click. With Leawo DVD Creator installed, target DVD disc inserted to the DVD recorder drive and source ISO files prepared, you could follow the below steps to learn how to burn Windows 10 ISO to DVD with this app. 1. Click the inverted triangle icon next to the "Add Video" button and then select "Add iso file" option. 3. 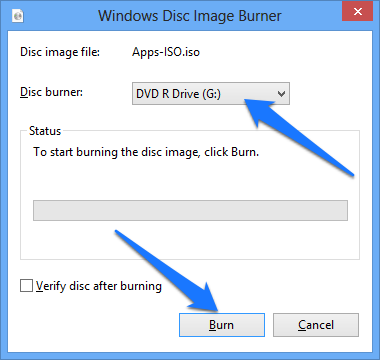 Click the "Burn" button to start burning ISO file to DVD on Windows 10/8/7. To create a bootable DVD from an ISO image, you must burn the actual ISO image onto the DVD, not just copy the ISO file to the DVD. Just copying the ISO file to the CD / DVD will not produce a usable disc. Take care to download ISO images in binary mode if using FTP. By default, Netscape downloads the file in ASCII mode, which corrupts the image. Do not operate any other programs while the DVD is being written to. Do not bump or nudge the DVD burner while it is operating. Vibrations can cause the burning process to fail. Both DVD-R and DVD+R discs are acceptable. But DVD-R disc would be better than DVD+R disc. DVD-RW/DVD+RW discs are also acceptable.